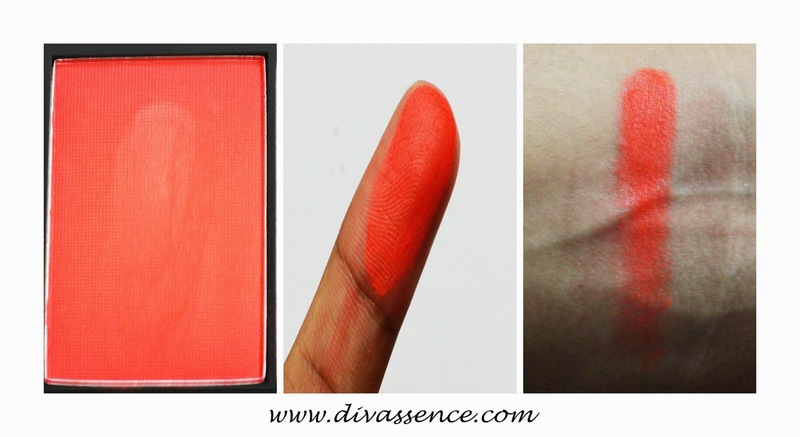 Sleek Blush By 3: Flame: Review/Swatches - Divassence! 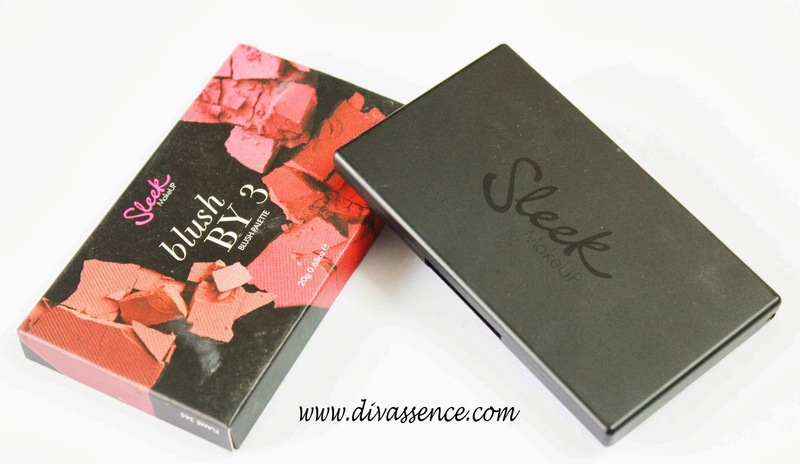 I’m going to review a blush palette from Sleek today, the Blush By 3 palette in Flame (365). I’m sure most of you have one of these gorgeous palettes with you and if you don’t, do grab them ladies they are worth every penny (even when the value of Rupee is very low)! Flame was an impulse buy, I was planning to get Lace but ended up ordering Flame and I’m very glad that I got this! Read on to know the reasons. 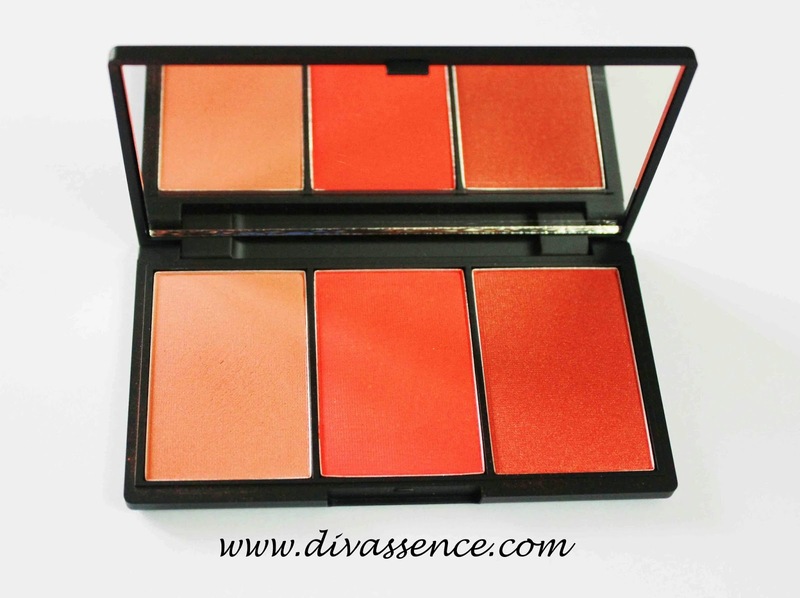 Blush by 3 is the ultimate palette offering you three times the impact in one neat little compact. With three complementary shades each designed with its own unique finish, from rich shimmers to intensely deep and bright show stopping matte shades. Heads will turn! 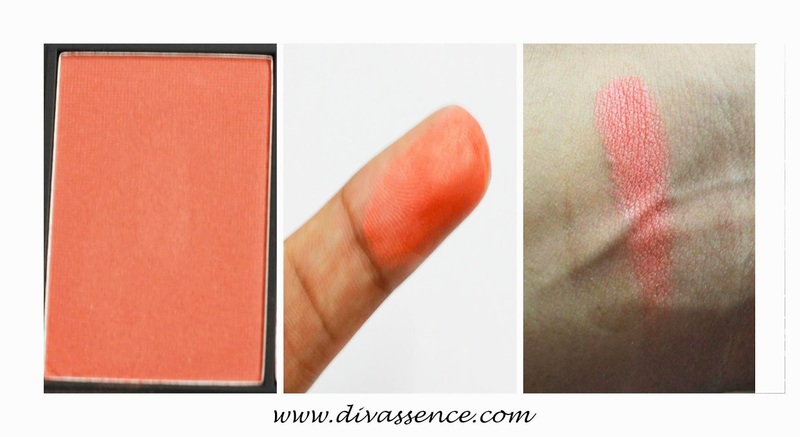 Blush by 3 in Flame is perfect for all skin tones, offers a matte or shimmery highlight finish. For extra ‘wow’ apply Glo Face and Body Highlighter with a small powder brush carefully sweeping along the top of your cheekbones. Blush by 3 is available in 5 unique colour combinations designed to suit all skin tones, and available in a small compact with a mirror, perfect for on-the-go application. Store in a cool dry place. I love the simple and functional packaging of Sleek products. The blush palette comes in a matte black case with a huuuuuuuuuuuge mirror. No brush is included but who cares? None of us use the tiny, scratchy brushes provided with blushes, right? 😛 It is very compact and travel friendly All the shades are soft in texture, especially furnace. They blend well but it requires a lot of effort on your part to achieve that perfect blushed look since these are insanely pigmented. One thing I like about Sleek is the way they pay attention to naming their products. Other brands (Yes I mean you Inglot :P) should follow Sleek’s footsteps. All the shades in all their Blush By 3 palettes come with names connected to the central theme of the palette. The names of the three shades in the Flame palette too are related to the theme (Flame) and they are : Molten, Bonfire and Furnace. 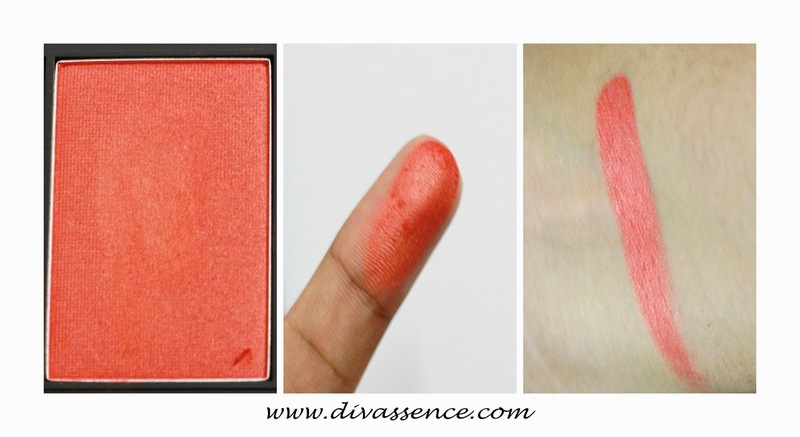 Bonfire : My favourite blush in this palette, a bright matte red shade! This shade is very pigmented and using this even with a light hand might make you look like a clown so use very very (put n number of ‘very’s here :P) little product! You would need a little practice (and lots of patience) to find out how much product you would require to get a healthy blushing cheek! But once you get a hold of it, you would love this to bits! It lasts the longest in this trio, a bit more than 8 hours (even when applied very lightly)! 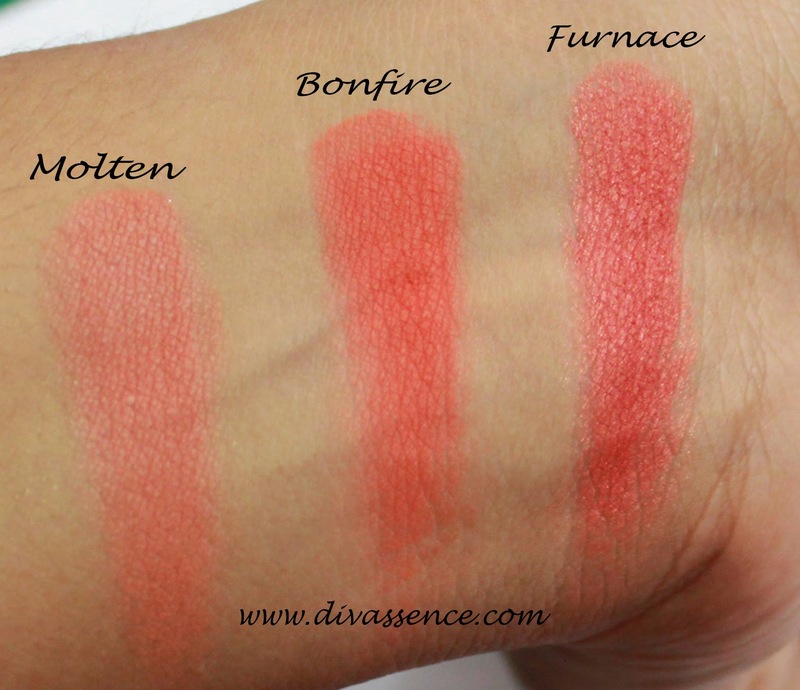 Furnace : A coral-orange shade (more coral than orange) which is perfect for days when you just want to chill out and have fun It would go well with all skin tones (actually all the three shades would be apt for all the skin tones) and lasts around 6-7 hours. Pigmentation wise I would say this is very pigmented, though not to the level of bonfire. Availability – Ordering from Sleek website might sometimes result in lost parcels. Wow lovely colors on the blush! I so want to order sleek products but damn… the availability is such an issue. I dont have the heart to let go of lost parcels! Lovely Palette… the blush looks amazingg! Yeah Shika, I saw your haul in your blog 🙂 How do you find it?